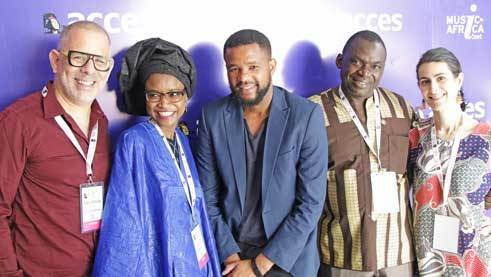 The Music in Africa Foundation launched the ACCES conference in cooperation with the Goethe-Institut and the Siemens Stiftung to gain insights into current topics in the African music industry and to facilitate cooperation. 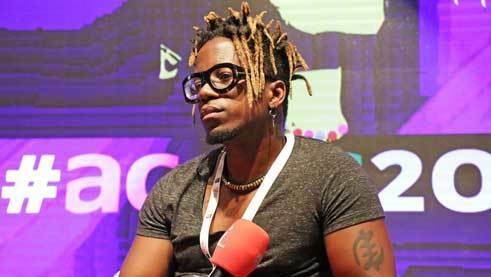 This year, the Nairobi platform brought together around 40 African and international music enterprises for workshops, live performances and panel discussions. 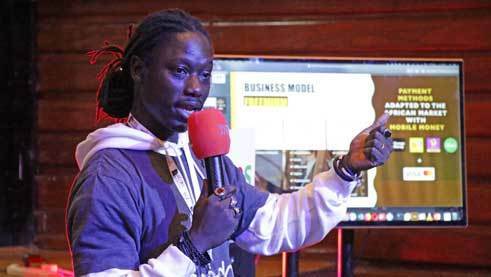 Two days jam packed with discussions, presentations and workshops, as well as three concerts with groups from East and West Africa: The ACCES 2018 music congress, held from 15th till 17th November in the Kenyan capital of Nairobi, reflected the breadth of African music’s dynamic development. The topics ranged from practical aspects of music and studio technology to issues of rights management and the relevance cultural heritage. The venue was the Kenya National Theatre, which also houses the National Conservatory. A large tent also served as an exhibition space where music producers, media and funding institutions could present themselves at their stands. Following its successful trial run last year in Dakar, ACCES has now been held in Nairobi for the second time. The venue will change every year in future as well. The sponsor is the Music in Africa Foundation (MIAF) founded in Johannesburg five years ago with the support of the Siemens Stiftung and the Goethe-Institut. In just a few years, it has become the most important pan-African network in music. While the website, which now has around 18,000 entries by musicians, producers and institutions, forms the stimulating nerve centre, ACCES functions as a physical showcase for the foundation where active members meet to exchange ideas and develop new projects. The subject matter covered by the event was highly topical and attracted many guests from the local music scene. The panels on the fast-growing streaming sector and on rights management were heavily attended. According to the latest statistics from CISAC, the international association of copyright societies, the huge African music market’s share in world rights is a mere 0.8 percent. A panel devoted itself to the topic of music education: The governments in Uganda and Kenya have recognised its cultural policy importance and are now making funds available for it. The current debate revolves around the question of how to integrate music traditions based largely on oral traditions in curricula. The workshops on the basics of music production, DJ practice and film composition – the latter was offered by the Hamburg firm Mediasound – also met with great interest. 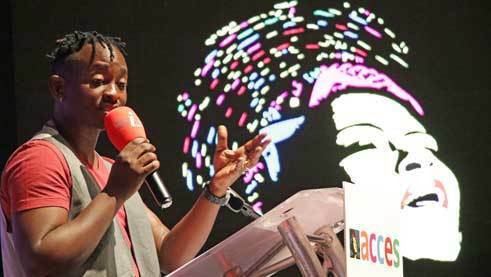 One highlight occurred right at the beginning with the performance by Eric Wainaina. The Kenyan singer, composer and lyricist, a luminary of today’s African music, was awarded the Music of Africa Honorary Award in Nairobi. In his opening speech to the congress, he revealed himself to be an unbending optimist and great motivator. The Kenyan percussionist Kasiva Mutua was similarly confident and combative. Her question: “Who are we in the 21st century?” was aimed directly at the role of music as an identity-creating force in tomorrow’s Africa. The Music in Africa Conference for Collaboration, Exchange and Showcase (ACCES) is a platform created in 2017 for artists from all over the world with the aim of giving them insights into the African music scene and to allow them to exchange ideas. ACCES 2018 is an event by the Music in Africa Foundation. The Goethe-Institut and the Siemens Stiftung as well as other regional organisations support the event.